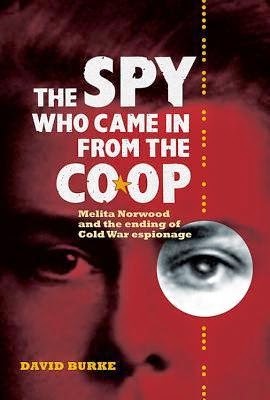 I ordered A Spy Who Came in From The Co-op after reading Jennie Rooney’s excellent novel, Red Joan, which was inspired by the life of Melita Norwood who was revealed as the Soviet’s longest serving spy in Britain when she was 87 years old. Norwood worked in the British Non-Ferrous Metals Research Association, passing on secrets from the late 1930s until she retired relating to Britain’s atomic programme. Although the British government played down Norwood’s role when she was exposed in 1999, and she was not prosecuted, the KGB files suggest that she was considered more valuable than the Cambridge Five. The strength of the book is placing Melita Norwood’s life in the wider context of her father’s activities, the wider communist movement and Russian spy networks in the UK across the first sixty years of the twentieth century. Where the book is weaker is with respect to Melita Norwood herself. The author spent a lot of time with her, both prior to and after her she was exposed, talking to her about her father, her own life and the people that she knew, yet her personal profile and psychology is relatively thin, with very little information gleaned from chatting to her documented. Indeed, a lot of the narrative is reliant on archival sources. This is a shame as it would have been nice to dissect in a bit more detail the life of a committed spy and how she reconciled and rationalised her actions. Moreover, the telling is quite dry and there’s a fair bit of repetition. Nonetheless it’s an interesting read.